Ames (1990) Student motivation has, for some time, been described as one of the fore most problems in education. 1 It is certainly one of the problems most commonly cited by teachers. 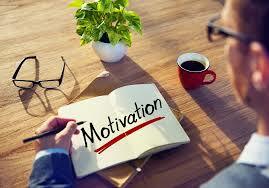 Motivation is important because it contributes to achievement, but it is also important itself as an outcome. Wieman (2013) Student motivation is probably the single most important element of learning. Learning is inherently hard work; it is pushing the brain to its limits, and thus can only happen with motivation. Highly motivated students will learn readily, and make any class fun to teach, while unmotivated students will learn very little and generally make teaching painful and frustrating. Fortunately, research shows that there is a lot an instructor can do to motivate their students to learn. Lai (2011) Educators interested in assessing motivation in the context of classroom learning will need to identify or design tasks with characteristics designed to optimize the observing students’ motivation. An important point to note is that because the expression of motivation is so strongly related to the classroom assessment environment (through self-efficacy, goals, attributions, and the effect of evaluation on students’ willingness to approach challenging tasks), suggestions for measuring or assessing student motivation tend to mirror the suggestions for fostering motivation in the classroom. In other words, many of the recommendations for assessing motivation described below are intended to help remove the perceived threat of evaluation and to maximize the actually observing students’ real motivation levels.